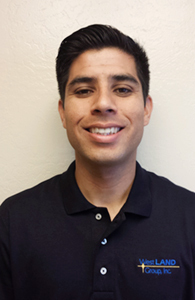 June 4, 2015 (Rancho Cucamonga, CA) – WestLAND Group, Inc. is pleased to announce and welcome Dr. Omar Ernesto Mora to the Company’s land surveying and research teams. Dr. Mora will be responsible for research and development based on surveying technologies for improved mapping. In addition, he will be a valuable contributor in the areas of preliminary engineering and surveying and mapping. Dr. Mora comes to WestLAND Group, Inc. with 10 years of surveying and mapping experience. He received his PhD in Civil, Environmental and Geodetic Engineering from The Ohio State University. His research topic was based on the detection of landslide surface features from bare-earth surface models generated from airborne LiDAR data. He received a M.S. degree from Purdue University in Geomatics Engineering, and a B.S. degree from California State Polytechnic University, Pomona in Civil Engineering with an emphasis in Geospatial Engineering. He has extensive experience in geomatics related topics, including but not limited to: photogrammetry, computer vision, remote sensing, mapping, geodesy, Global Navigation Satellite System (GNSS), navigation, and land surveying. His research interests include high-resolution imaging, image processing, close-range photogrammetry, digital camera systems, vision aided navigation, integrating multi-sensor systems, GPS applications, laser technology, 3D/4D modeling, surface model generation, surface extraction, and change detection analysis using laser and photogrammetric technology. He also participated in a number of relevant practical projects in collaboration with researchers from different fields and government agencies. His background will help Dr. Mora transition smoothly into his current position with WestLAND Group, Inc.
“I am delighted to have Dr. Mora join our team as a Land Surveyor and Research Scientist. As WestLAND Group, Inc. continues to grow, I know his experience & expertise are precisely what we need to present our services to new markets”. – Mary Josenhans, President, WestLAND Group, Inc.